In 1988, just as Doug Prasher had started to work on the sequencing and cloning of GFP, Martin Chalfie heard about GFP for the first time. 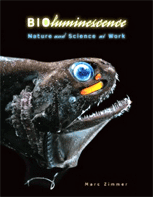 He was attending a seminar on bioluminescent organisms at Columbia University. 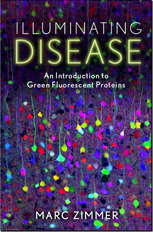 As part of the talk, the speaker mentioned GFP. The fact that it was a protein that was inherently fluorescent got Chalfie very excited. He immediately began envisioning ways he would be able to use GFP in his C. elegans research. Marty was so intrigued by the potential uses of the protein that he didn't listen to a word of the rest of the seminar. Chalfie wanted to use GFP as a marker that could be attached to a promoter. The promoter is a region of DNA located in front of a gene. When the cell needs to make a specific protein, it binds to the promoter for that gene, which in turn activates the gene. By attaching GFP to a promoter, Chalfie was hoping that GFP would be produced whenever the promoter it was attached to was activated; in this way GFP fluorescence could be used to signal activation of the GFP-tagged promoter. Following a couple of days of inquiry, Chalfie managed to find out that Douglas Prasher was working on the sequencing and cloning of GFP. Prasher was very interested in collaborating, but still had a way to go before fully sequencing the GFP. After he published the GFP sequence in Gene, Prasher sent a GFP clone to Chalfie, who gave it to a graduate student, Ghia Euskirchen, who was doing a rotation in his lab. She succeeded in incorporating the GFP gene into E. coli so that they fluoresced green when they were irradiated with blue light! Chalfie and his co-workers published their results in the February 11, 1994 issue of Science. Expression of GFP in E. coli. 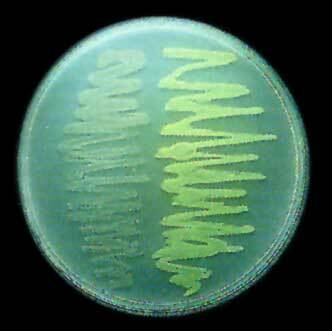 The bacteria on the right side of the figure have the GFP expression plasmid. Cells were photographed during irradiation with a hand-held long-wave UV source (Photo courtesy Marty Chalfie from the original 1994 Science article).